If you’ve been enjoying summer foods such as ice cream and watermelon for the past few weeks, it’s time to get excited about a new treat! July 11 is National Blueberry Muffin Day, and we at The Daily Clog are getting ready to enjoy these wonderful pastries even more than usual. 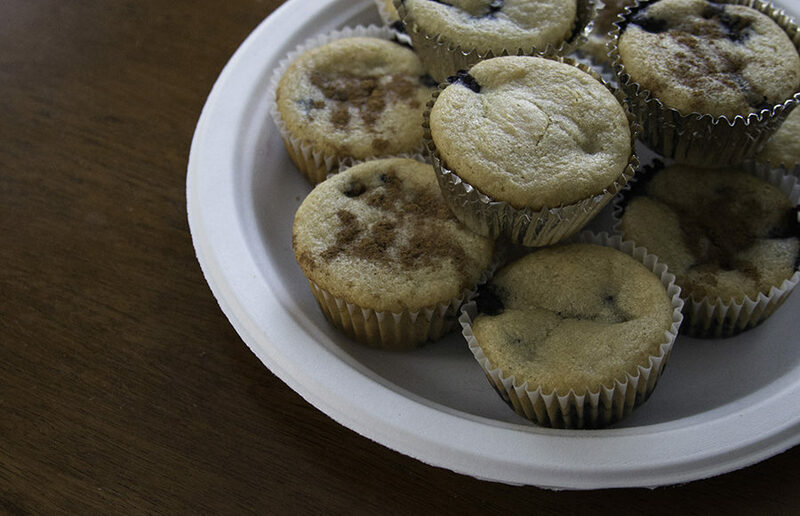 While blueberry muffins are a childhood staple in many households, it can be hard for those with food allergies or restrictions to keep enjoying them. If you’re gluten-free or vegan (or both! ), we’ve got the perfect blueberry muffin recipe that will still allow you to enjoy this delicious holiday. To gain inspiration for this recipe, I intensely researched the blueberry muffin — if by “intensely researched” you mean Googling recipes and clicking the first link. That took me to this recipe, which I used as a guideline for the ingredients listed below. Because I had most of these ingredients in my pantry already, I made some swaps for the sake of convenience. I used almond milk, almond flour and vegetable oil instead of the other ingredient swaps listed above. Regardless, this recipe is flexible and allows you to put your own spin on National Blueberry Muffin Day! Melt the coconut oil in a large bowl (not necessary if using vegetable oil). Whisk in the dairy-free milk, lemon juice, maple syrup, vanilla, salt and almond flour. Add the gluten-free flour, baking powder and baking soda. Use your batter to fill 8 to 12 muffin cases, depending on how big or small your tins are. I recommend using paper tin liners to avoid the need for baking spray! Bake for 20 minutes. To check if the muffins are done, insert a toothpick to see if it comes out clean. That’s it! Not only are these muffins great for those with major allergies or plant-based lifestyles, but they also have great moisture and flavor, especially when compared to other allergy-friendly baked goods. Just don’t forget to thank us when you try them for yourself! Contact Erin Haar at [email protected].